Team work and network building are important factors in development of successful entrepreneurs. Working entrepreneurs are the best counsellors, facilitators and mentors for potential entrepreneurs. Voluntary commitment, Integrity, Entrepreneurship are the core values of ALEAP. Never doubt that a small group of thoughtful committed citizens can change the world. Indeed, it is the only thing that ever has." MOU with Indian Institute of Crop Processing Technology (IICPT), Thanjavur. 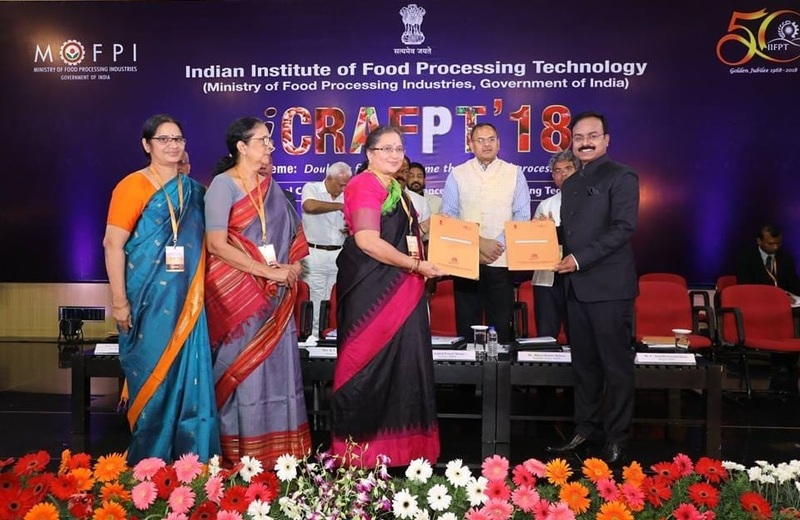 ALEAP has signed an MoU with Indian Institute of Crop Processing Technology (IICPT), Thanjavur seeking facilitation services in the food processing sector for We-HUB incubator. As per the MoU, IICPT will collaborate with ALEAP in Skill development and developing innovative food processing Technologies for WE-HUB. Smt. 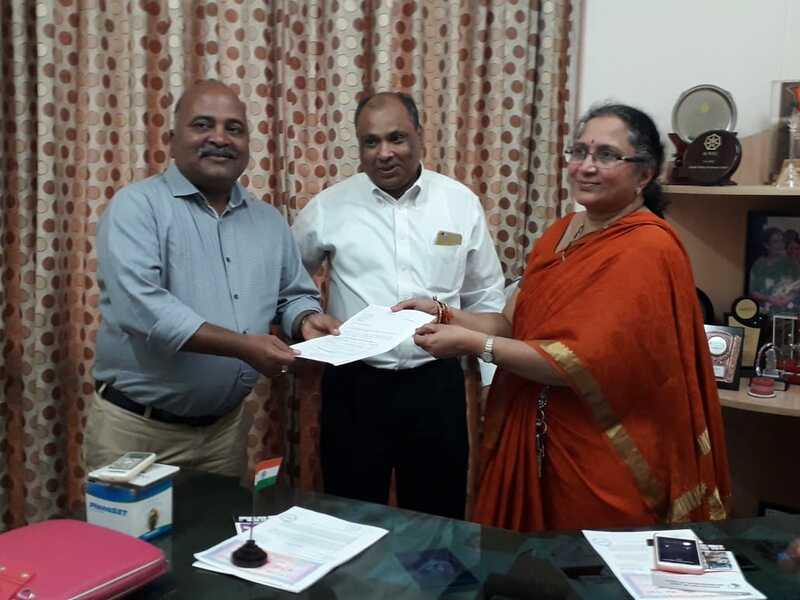 K. Rama Devi, President of ALEAP-India and Dr. C. Anandharama Krishnan, Director, IICPT were signed on the MoU on 17.08.2018 at international conference ICRAFPT-2018. Smt. Y. Tripuramba, Secretary of CED & Smt. 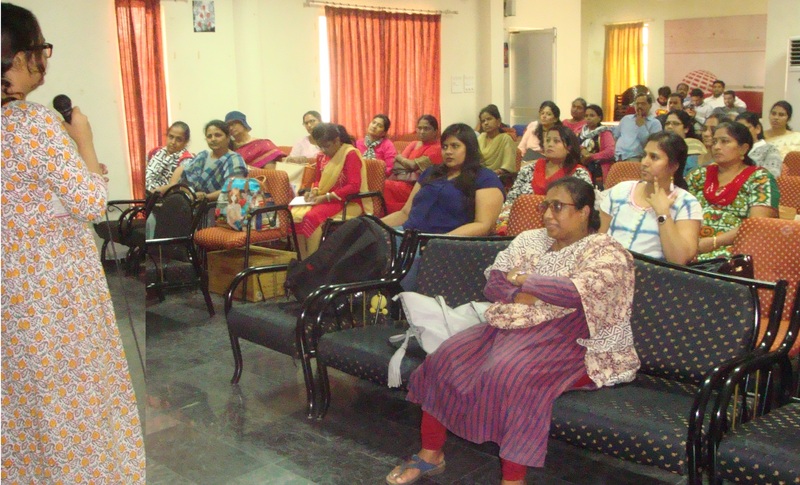 Kamala Devi, Chief operative officer of WE-HUB also attended the Programme. An MoU was signed between ALEAP & TPL-US Ltd represented by Mrs. K. RamaDevi, President, ALEAP and Mr. Tenny Cherian, COO, TPL respectively on 01.08.2018 at ALEAP Industrial Estate for establishing RO plants and TATA Quality Malls across Telengana, Andhra Paradesh and Karnataka. Mr. H.E.Kutty, Head, SBU- TPL, Mrs. Kavitha Rajesh, Treasurer of ALEAP and Mrs. Swaroopa, Member, ALEAP were attended the programme. As per the MoU,RO plants and TQ Malls will be established by entrepreneurs identified by ALEAP and to supply products manufactured by ALEAP members across India through TQ Malls. KLU Business School has invited Mrs. K. Rama Devi, President, ALEAP to speak on "Entrepreneurial Development & The Governmental Concessions and Incentives". She has shared her motivational thoughts and vibrant opportunities for entrepreneurship on 27’th July 2018 at KLU Business School, Vijayawada. 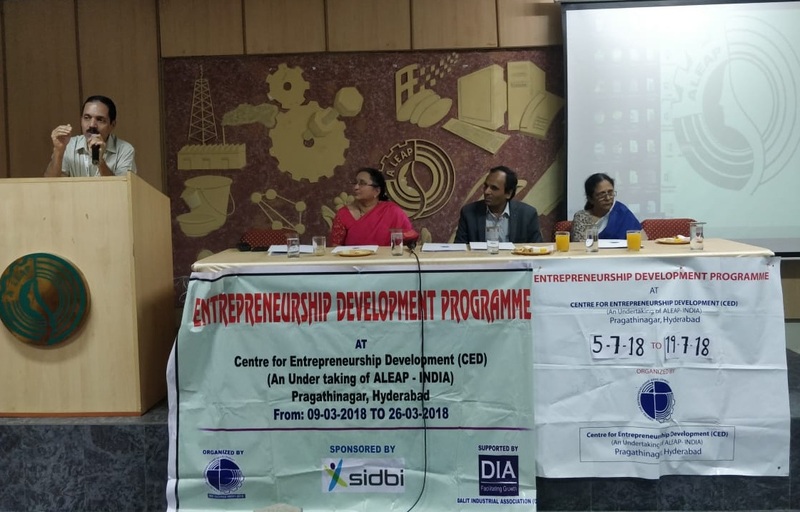 A valedictory programme for two batches of Entrepreneurship Development Programmes (EDPs) was held on 24th July 2018 at CED Campus. One batch was sponsored by SIDBI and another belongs to CED. Mr. Sanjay jain, General Manager SIDBI & Mr. Vatsa Kumar, DGM, SIDBI were attended the programme and spoke on the occasion. 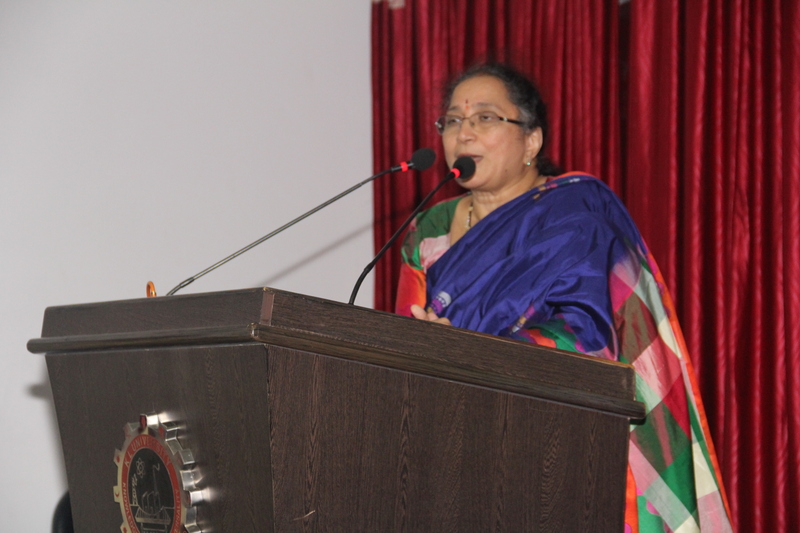 Mrs. K. Rama Devi, President, CED & ALEAP have addressed the trainees. The trainees were awarded certificates by the dignitaries. 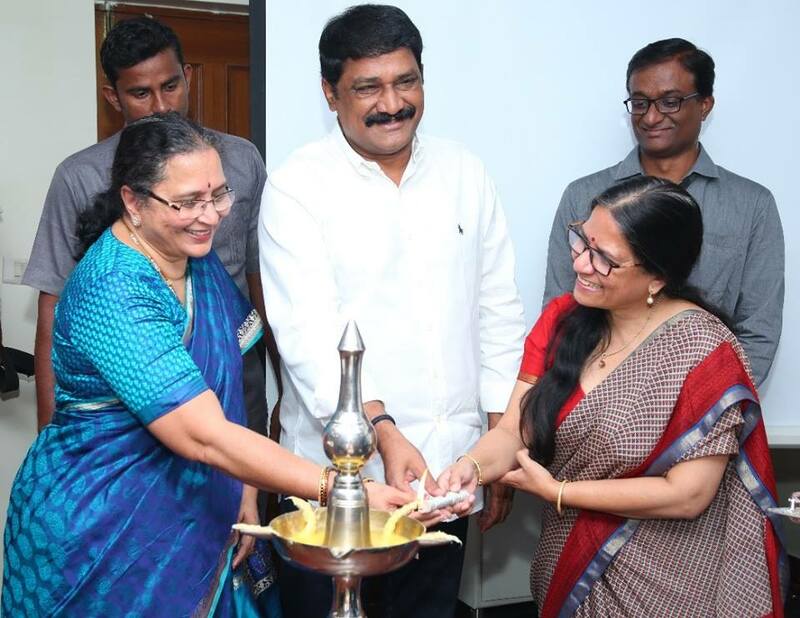 Dr. Jyothi Rao, Vice-President CED & Aleap, Mrs. Tripuramba, Secretary, CED, Mrs. Padmaja Prabhakar, Secretary, ALEAP, Mrs. Kavitha Rajesh, Treasurer, ALEAP and other committee members were also participated in the programme. 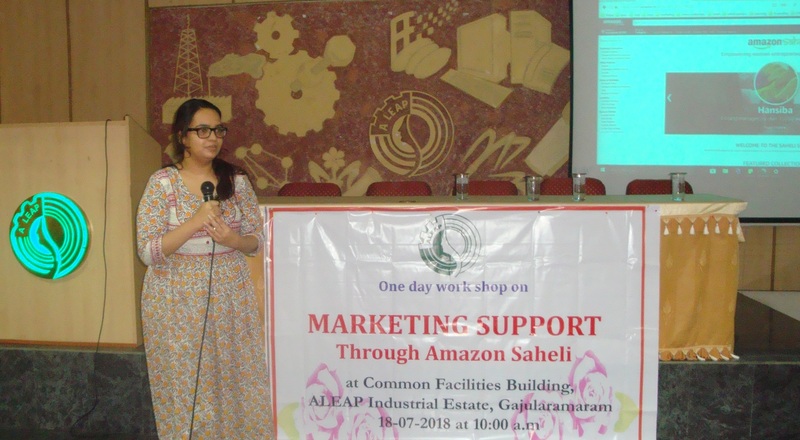 One day workshop on “Marketing Support Through Amazon Saheli” was organized by ALEAP India on 18th July 2018 at ALEAP Industrial Estate, Hyderabad. 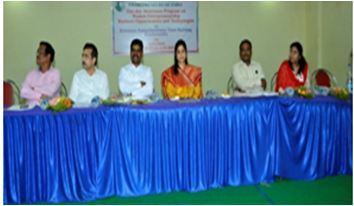 The programme was inaugurated by Smt. B. Kavitha Rajesh, Treasurer of ALEAP has explained the participants regarding importance of online services & process. The Trainer of M/s. Amazon Saheli, Smt. Farisa was also participated in the program. 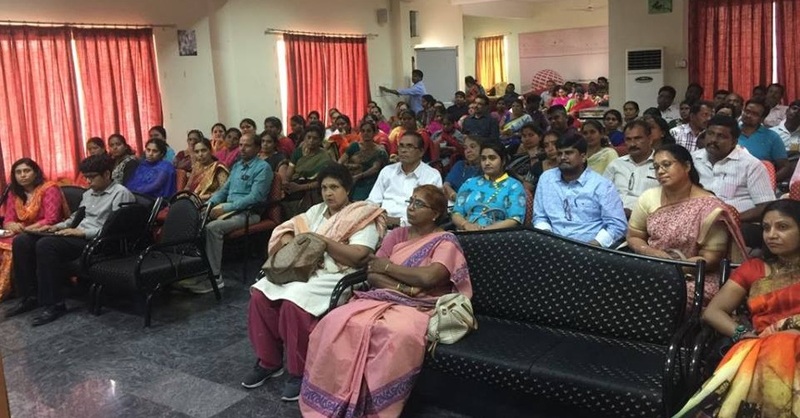 An awareness program on "Biotech Startup Opportunities - For Aspiring Global Women Entrepreneurs" was organized by ALEAP on 11’th July 2018 at vishakapatnam. Sri Ganta Srinivasa Rao garu, Hon’ble Minister, Human Resource Development, Govt. of AP has inaugurated the programme. Mrs. K. Ramadevi, President of ALEAP, Smt. 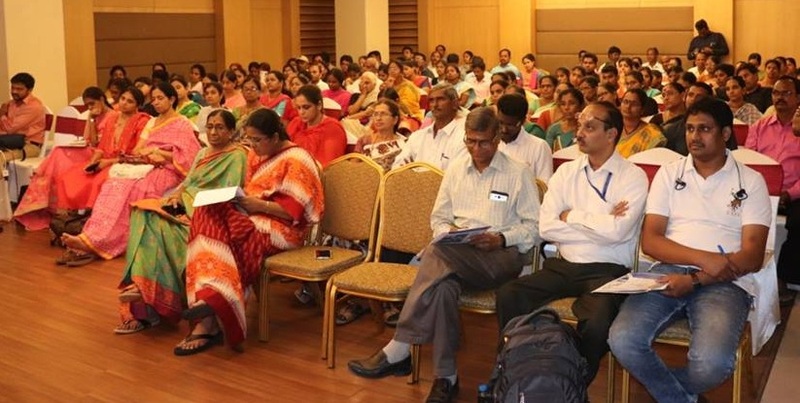 Deepanwita Chattopadhyay, Chairperson & CEO, IKP, Hyderabad, Sri Bhubesh kumar,Director-Food & Agriculture, IIIT Hyderabad were participated and shared their knowledge with the participants. 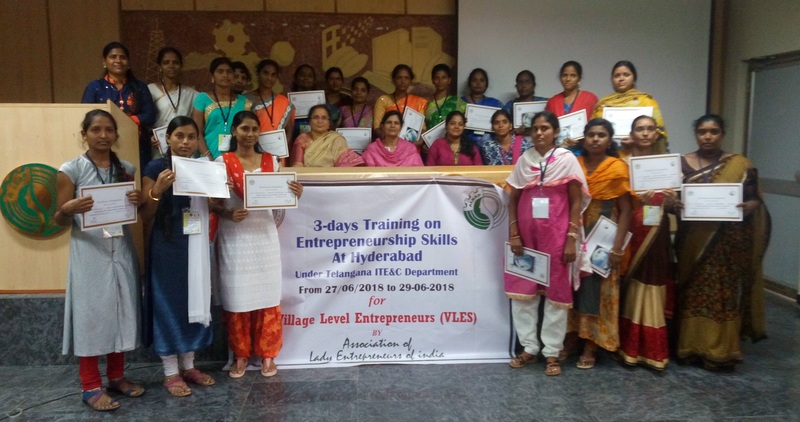 ALEAP has organized 3-day Training on “Entrepreneurship Skills” for Village Level Entrepreneurs(VLES) during 27’th - 29’th June 2018 at ALEAP Industrial Estate, Hyderabad. 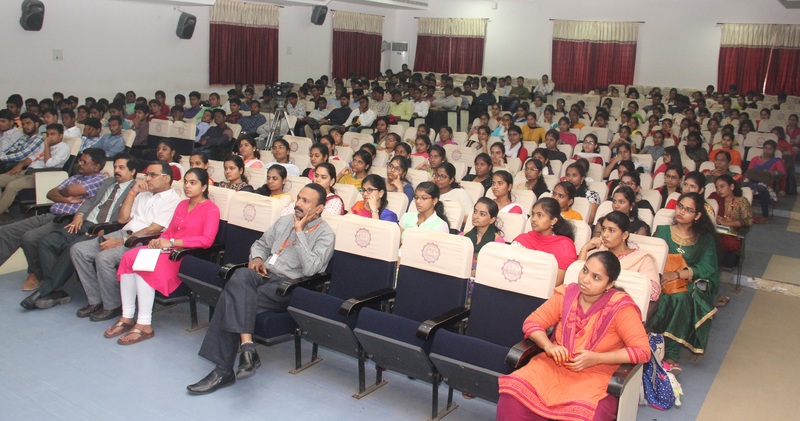 This programme was sponsored by ITE&C Department, Govt of Telangana. This programme was inaugurated by Sri. P. Vijaya Bhaskar Goud, Deputy director (admin), Meeseva Department of ITE&C, Govt. of Telangana, Ms. Gurupreeti singh, State Co-ordinator, UNDP. The valedictory & distribution of certificates was done on 29th June 2018. Smt. 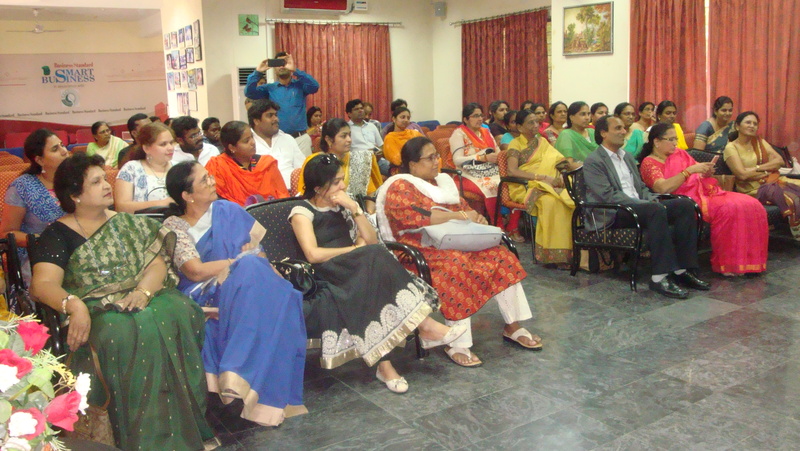 K. Rama Devi, President, ALEAP has addressed the trainees and motivated them for becoming the entrepreneurs. Smt. Varalakshmi DD, ITE&C Department has distributed the certificates. A Presentation on “Business opportunities in Reverse Osmosis (RO) Plant” was given by Mr. H.E.Kutti, Head SBU (Utilities), TATA projects on 14th June, 2018 at ALEAP conference hall, Industrial estate, Pragathi nagar, Hyderabad . This is an initiative of ALEAP to provide safe drinking water for Rural India. Establishment of RO plants will be an opportunity for women entrepreneurs which associated with TATA Projects by ALEAP India. 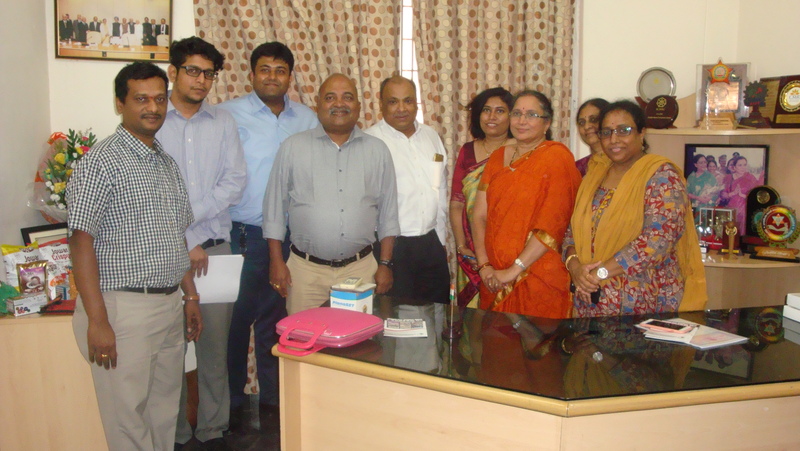 Mrs K. Rama Devi, President, ALEAP, Mr. Anil Kumar, Consultant, TATA Projects, Mr. Bhujunga Rao, LDM, Canara Bank Medchal, and Mr. Uma Kanth, ALDM, RR District, SBI. Were attend the programme. One Day training programme on “The Role of a Food Safety Supervisor” in association with M/s. 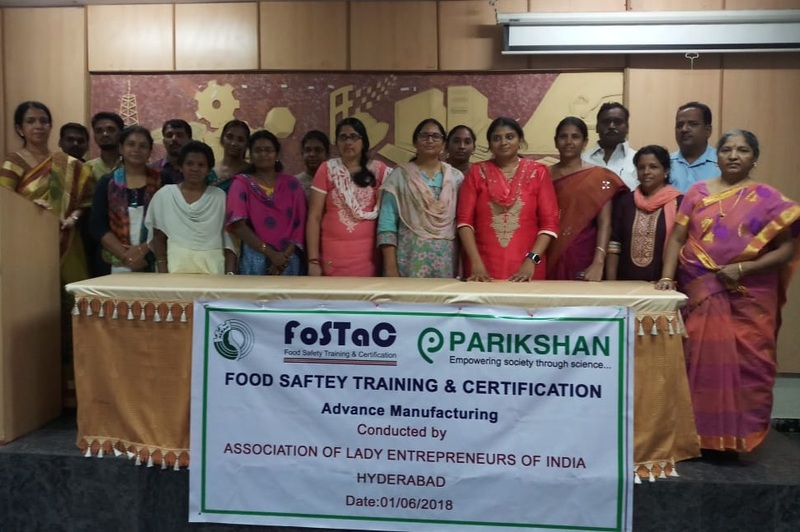 Parikshan, Chennai was held on 1st June, 2018 at ALEAP Industrial Estate, Hyderabad which brings great impetus for the women entrepreneurs on the technologies pertaining to Food Safety. 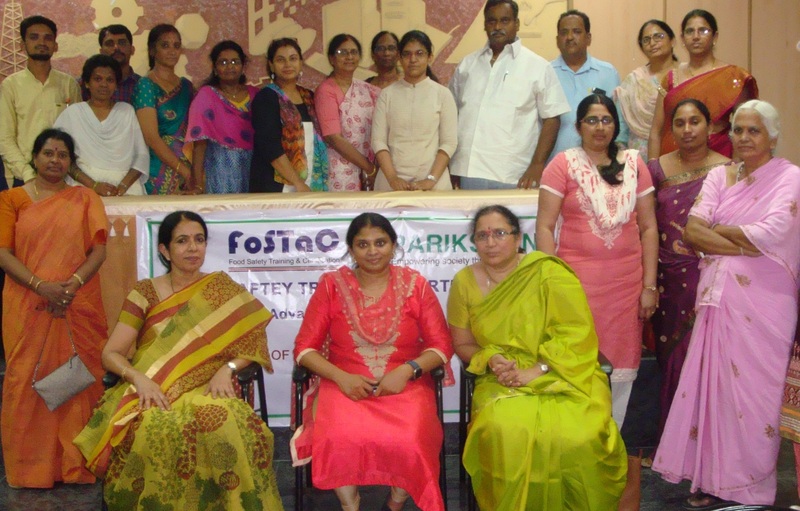 The main objective of the programme is to train the participants as Food Safety Supervisor (FSS). Smt. K. Rama Devi, President ALEAP has interacted with the participants about their learnings regarding food safety measures. ALEAP India in association with L&T Metro operations, established its first Small outlet at Ameerpet station and it was inaugurated on 11’th April 2018. 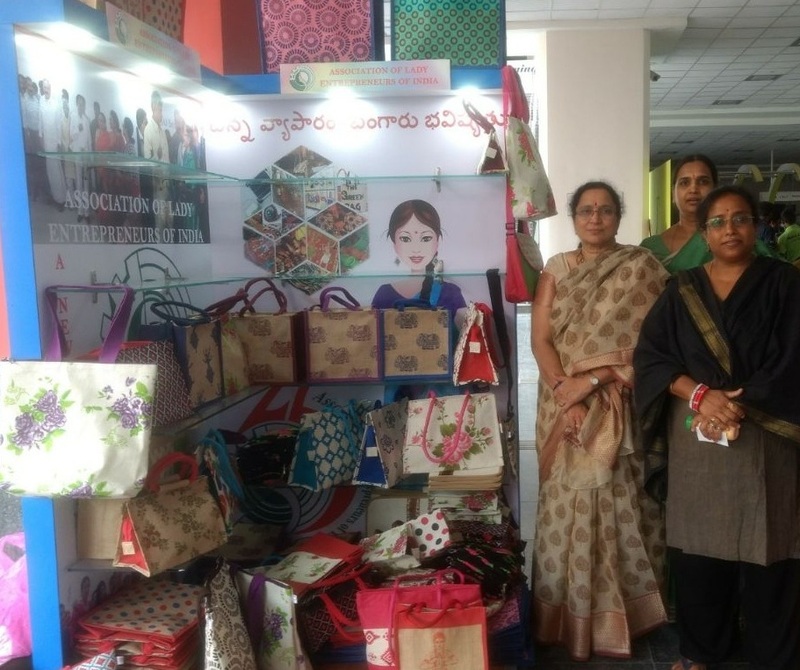 Jute bags and other Handi Crafts products Manufactured by women entrepreneurs were exhibited as a pilot run. L&T Metro has decided to a lot more outlets to ALEAP-India on turnkey basis. One Day Work Shop on “Leverage opportunities in Food Processing Sector” on 21st April, 2018 at The Kay Hotel, Ramavarappadu Road, Gunadala, Vijayawada. This programme was inaugurated by Shri. M. Chinna Tataiah, Mission Director, MEPMA-AP. The workshop provided an excellent knowledge about new technologies that can be implemented for optimizing the results. This could bring great impetus for the women entrepreneurs on the technologies pertaining to food processing. 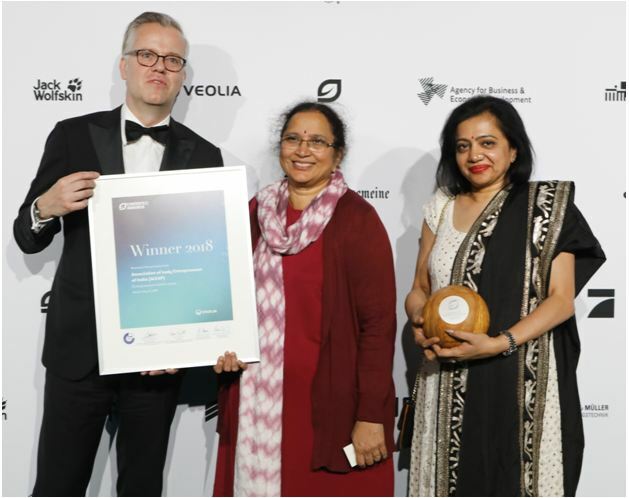 Association of Lady Entrepreneurs of India (ALEAP-India) has achieved “GreenTec- 2018” award as a Best Agency in the area of "Entrepreneurs tackle waste" and won the first prize among 138 nominated countries in the category of Resources & Recycling by Veolia of the GreenTec Awards-2018”, from the Government of Germany for its efforts in turning industrial waste into a business opportunity. Smt. 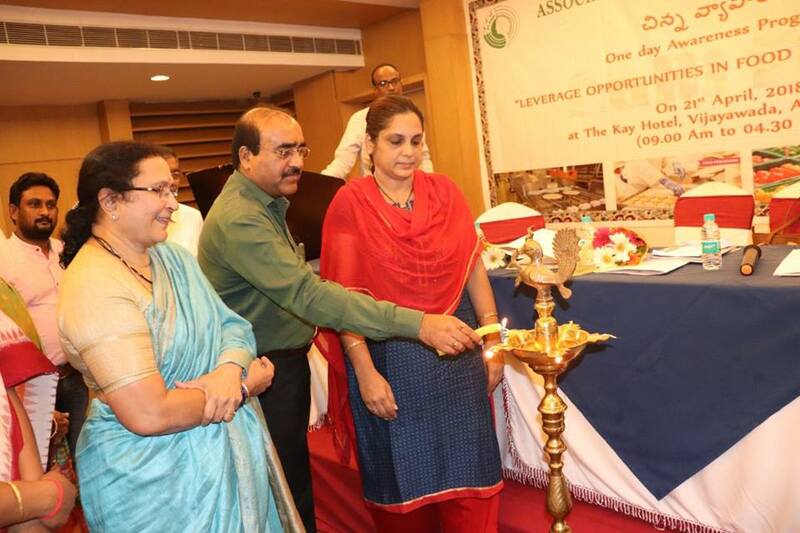 Kanneganti Rama Devi, President, Association of Lady Entrepreneurs of India (ALEAP-India) and Smt. 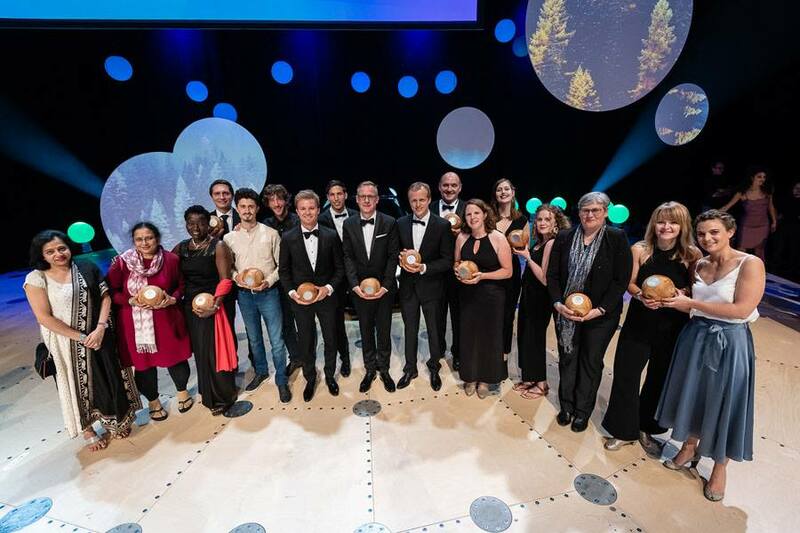 K. Padmaja, Secretary of ALEAP-India were attended the Prize distribution ceremony held on 13th May 2018 at Munich, Germany and received the “Green Tech - 2018”. The objective of MOU with Aditya Birla Fashion and Retail Limited is for manufacture of readymade garments for established bands like such as ‘Louis Philippe’, ‘Allen Solly’, ‘Peter England’, ‘Van Heusen’, ‘People’ its sub-brands and brand extensions and on job work basis to encourage women entrepreneurs of ALEAP members. An MOU has been entered with M/s. Aditya Birla Fashion and Retail Limited to create quality standards in the Garments manufacturing and set benchmarks for others to emulate. The conference was inaugurated by the Hon’ble Chief Minister of Andhra Pradesh, Sri. Nara Chandrababu Naidu Garu, Chief Guest for the conference. This conference served as a gateway to opportunity and expose women entrepreneurs to various opportunities that are available globally. The conference could focus on the areas of Innovation, Incubation & Industrialization – Transformation and importance of cross country trade. All these thematic areas are covered in 12 Sessions with 12 topics by 49 speakers. 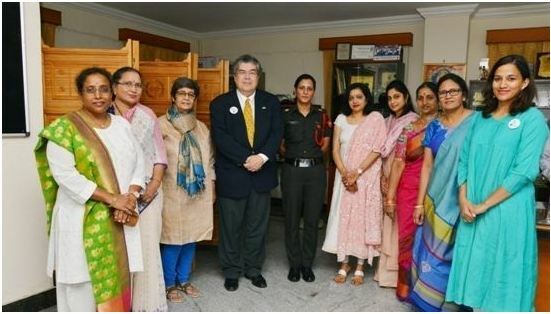 During the inaugural a Tripartite Agreement has been Signed by Mrs. Rama Devi, President of ALEAP, Ms. Pramila Acharya Rijal, President of South Asian Women Development Forum (SAWDF) and Sri. Amarnath Reddy, Hon’ble Minister for Industries & Commerce Department, Govt. 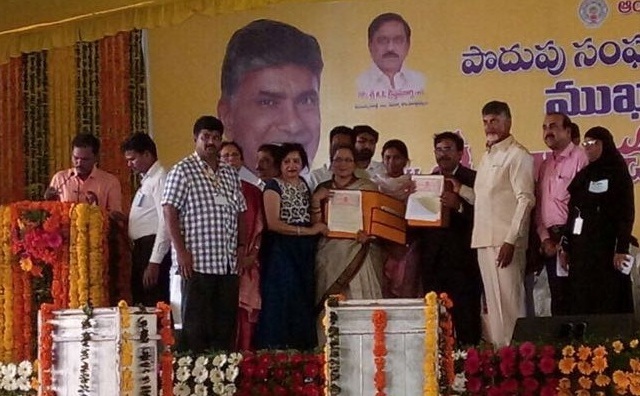 of AP for setting up of Women Entrepreneur International Trade & Technology Hub (WITH) in the presence of Hon’ble Chief Minister of AP, Sri Nara Chandrababu Naidu Garu. 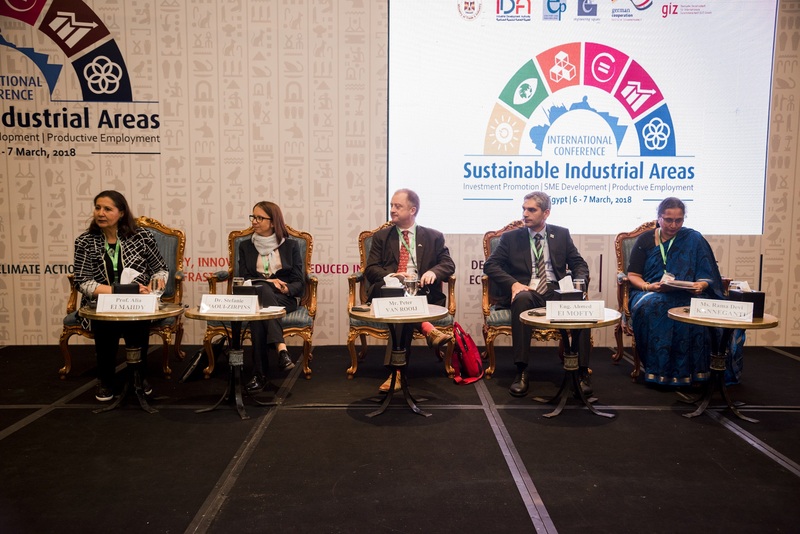 Mrs. K. Rama Devi, President , ALEAP was invited to speak on “ An Indian best practices of employment generation in an industrial park and developing an ecosystem for promotion of women entrepreneurship” at the International Conference held on 7th March 2018 at Cairo. She drew upon her vast experience in the creation and establishment of ALEAP Green Industrial Parks to enlighten the intelligentsia who attended this conference. Entrepreneurship Awareness program on “Business Opportunities and Technologies” organized by CED & ALEAP India on 16th March, 2018 at Bommana Ramachandra Rao Trust chamber of commerce Hall, Rajahmundry, Andra Pradesh. The program was inaugurated by Sri Bheg , Senior Technical officer, Regional office , Coir Board explained the Business opportunities available in Coir Board . Smt. 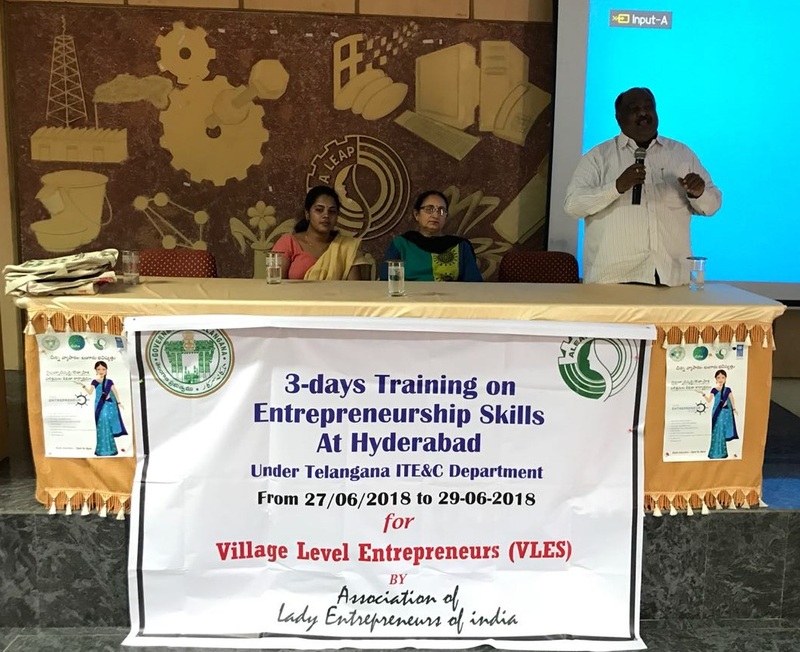 Maganti Rupa, Director –infrastructure, ALEAP-CED spoke about importance of women entrepreneurship, how it will be help to their family and society. She insisted to women to come forward to become entrepreneurs. The International Women’s Day celebrations were organized by CED-ALEAP India on 10.03.2018 at VNR-VJIET college, Bachupally with an OPEN DAY theme “MY IDEA” for students of all colleges of the twin cities. The event was inaugurated by Mr. Donald Mulligan, Deputy Consul General, U.S Embassy, Hyderabad. 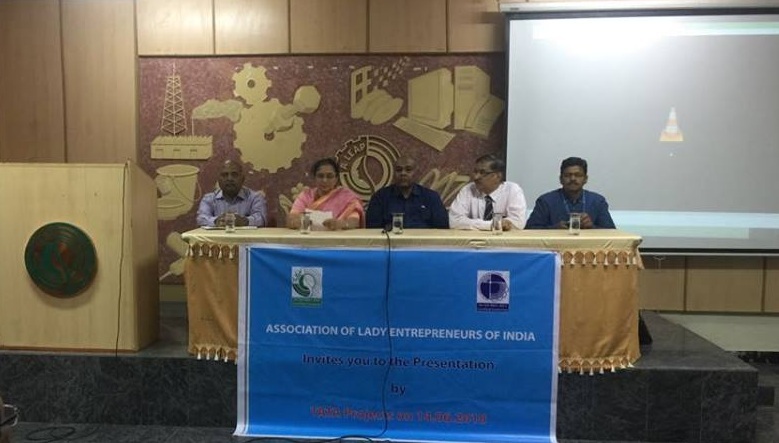 Mrs. K Rama Devi, President CED-ALEAP India welcomed the chief guest and other dignitaries and in her welcome address, she highlighted the efforts of ALEAP in establishing the incubation efforts and other activities undertaken by ALEAP in furthering women entrepreneurship in the country. She also spoke about how U.S.A is in the forefront of entrepreneurship and how the country was built on entrepreneurial spirit. Women entrepreneurship is the state of mind which is inborn. Entrepreneurship refers to the act of setting up a new business to reviving an existing business, so as to take advantages from new opportunities. Thus, entrepreneurs shape the economy by creating new wealth and new jobs and by inventing new products and services.